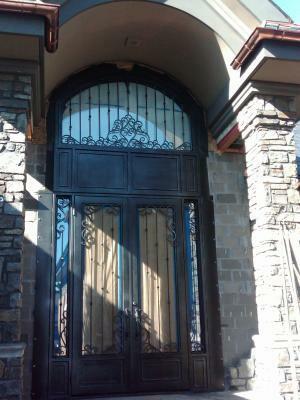 Take a look at our most recent install of our beautiful custom iron entry door in Edmonton, Alberta, CA. This beautiful wrought iron door is a one of a kind work or art. We can match an iron garage door or exterior wrought iron railing to compliment the unique design of your Iron entry door.